Kendal undertook her Art Foundation at Swindon College before working as Wardrobe Mistress at the Wyvern Theatre, Swindon and then moving to live in Australia. 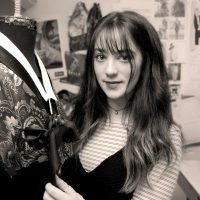 On her return she began costume at Bristol Old Vic Theatre School and has thoroughly enjoyed making for and supervising shows for the Theatre School. While at Bristol Old Vic Theatre School Kendal has taken the role of breakdown artist and dyer on the productions of Our Country’s Good (Nov 2016) and The Wizard of Oz (Dec 2017). 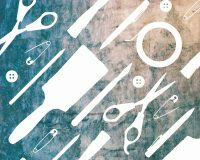 Kendal is due to graduate in 2018 after her achieving her BA Hons and then hopes to find work within dye and breakdown. During her spare time Kendal is a passionate about ethical fashion and making her own clothes. Kendal has recently completed work experience on Wicked, at the English National Ballet, on ITV’s upcoming Vanity Fair and Poldark. Kendal currently holds a TOPIK I Korean language certificate and is working towards TOPIK II.